– Please kept me informed about this MF03 (7*XHP-70.2 + 1* XHP-35 Hi). – This is the best idea, combining flood with throw. 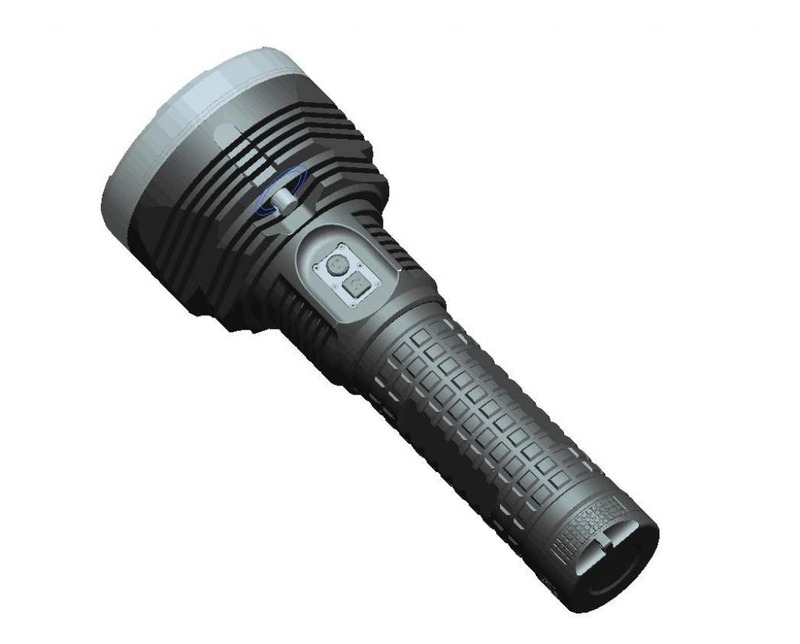 – Any chances to make the head diameter bigger, say, 120mm (reflector 110mm), like BLF GT, better then Thrunite TN-40 and 42, better then Acebeam X65 ? – What is the reflector diameter of the XHP-35 Hi, and each of the XHP-70.2 ? – How long can the light stay in The TURBO mode ? Only few minutes like others, or any breaktrhough in the heat dissipation tech that it can stay in turbo mode for at least, 40 minutes or so ? Can the HIGH mode be 70% from the TURBO mode ? Can the step be 100% (40 minutes), 70% (100 minutes), 50%, etc ? 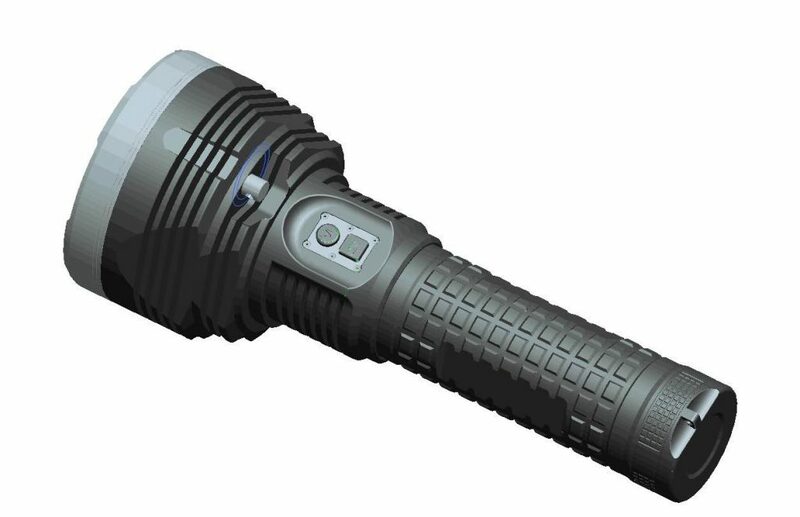 (Olight X9 never exist, using small fan alone might not be a good idea, but a combination of water-cooled pipe and small side fan like Acer laptop might be a breakthrough). – Hopefully it can make over 27000 lm and over 1700m throw. 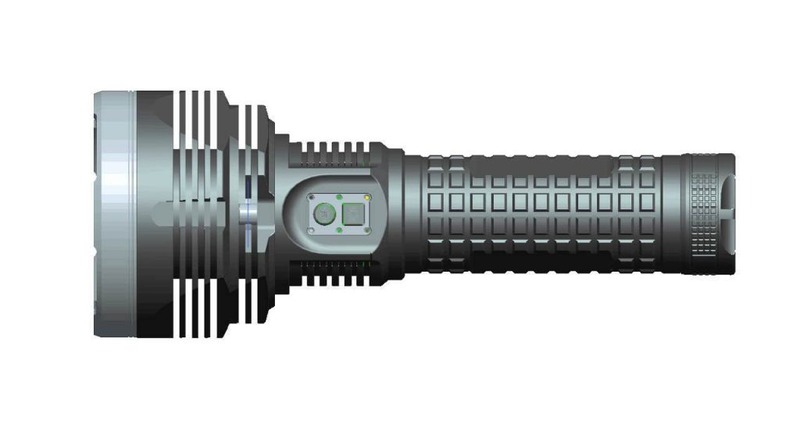 – Can the flashlight be flexible, giving choices to users of using 8 x 18650 or 12 x 18650? Wow, what a huge size ! !